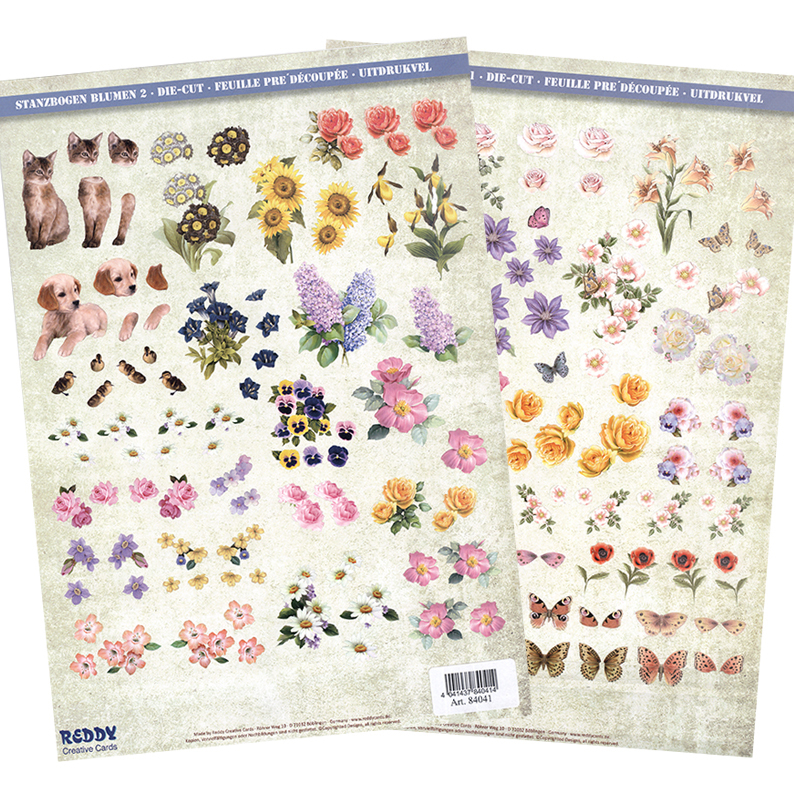 Beautiful 3D die cutting sheet that includes many flower, butterfly and animal images that you can press out and build your 3D to add a new dimension to your crafting projects and cards. Just add 3D foam pads! 2 sheets. Sheet Size: 8.29" x 11.69"